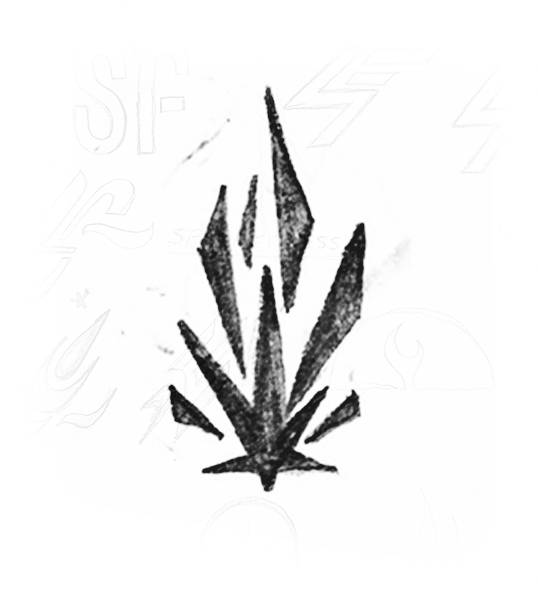 Spark Fitness came to us looking for a unique and bold logo that would excite and motivate people; as well as, a design that would look amazing on apparel and other marketing materials. These guys were super excited to begin this project and I could tell they were very passionate and thrilled to be starting their new business. This in turn energized us to really latch onto this strength and really lift this design to the next degree. They wanted to steer away from the typical and cliché images of dumbbells, bulging biceps and oversized tractor tires – positioning themselves as a fun group of passionate and diverse fitness professionals that feel and act like family. Depending on the day, they often refer to themselves as the wolf pack, four stooges, or the dream team. 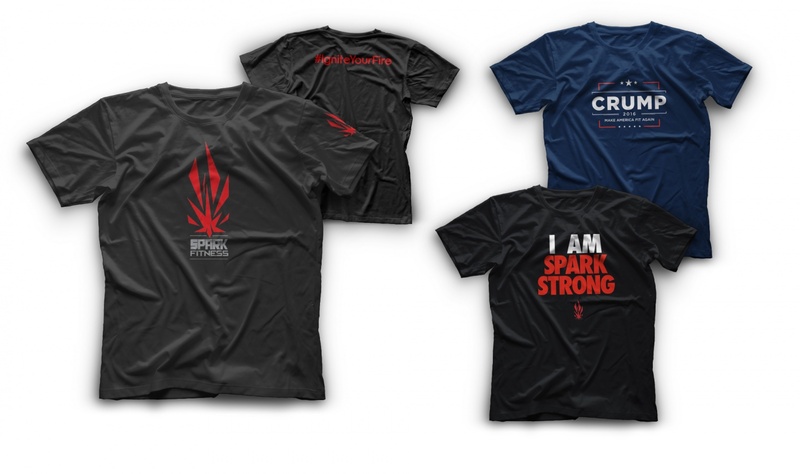 At Spark Fitness, they help busy professionals reclaim their life through fitness and we were determined to give them an icon that they could stand behind. From the sketch book to the digital screen, a lot of thought and passion went into this design. The process is fairly simple yet the details are really what make it all come together. Getting a pulse on the industry and truly immersing ourselves into the scene – by this I mean doing a pushup and then crashing to the floor in exhaustion and sitting there until an idea pops into our head. Well, it didn’t take long and we were busy sketching out our visions and discussing vibrant colors and bold fonts. After many iterations on the sketch pad and for sure many more digital options, the spark itself was all we really needed! This sharp and slightly aggressive shape turned into something really amazing. Not only did it capture the energy and passion our client was looking for but it was like nothing else in the industry. In a thriving area like Orlando where personal trainers are a dime a dozen, this logo had to match their skills, dedication and relentlessness and really stand out above the rest. 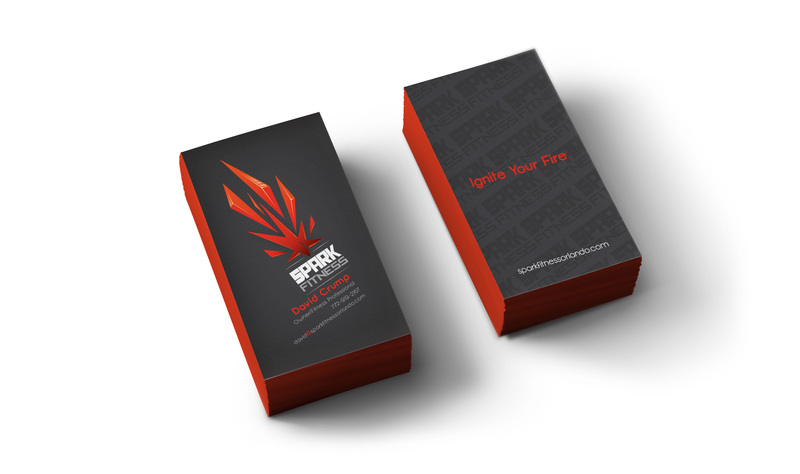 After over 4 years running a successful business, Spark Fitness has continued to work with us to create multiple different marketing materials. From a unique line of apparel for themselves and their clients to web graphics and image retouching, we are always thrilled to create with them. "Todd has worked on multiple projects for me and his work has always been exceptional and timely. I really appreciate his patience and ability to take a vision or concept and really bring it full circle. He is not just a "get it done" guy, but rather someone that really cares about making sure you get the perfect product."